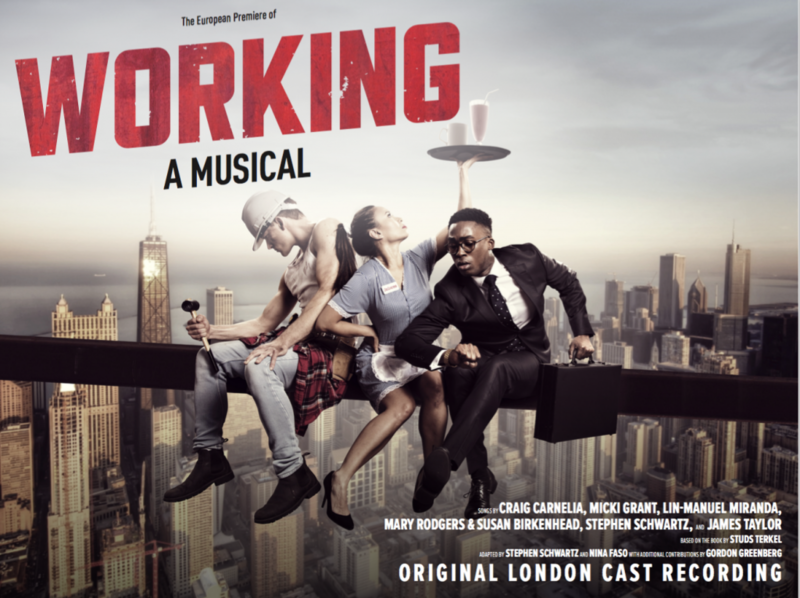 The cast of ‘Working’ at London’s Southwark Playhouse. It’s been 40 years since Working premiered on Broadway in May 1978 at what was then known as the 46th Street Theatre (now the Richard Rodgers, home to Hamilton). 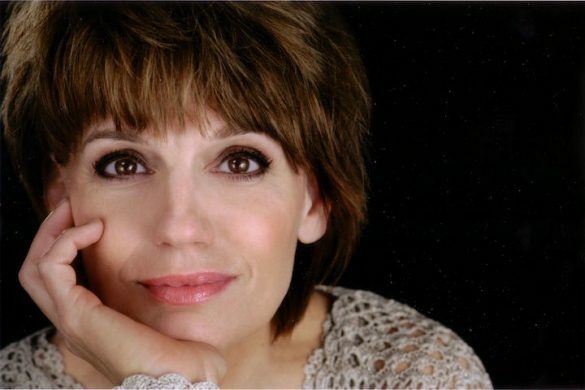 At 24 performances and featuring a pre-Evita Patti LuPone, the show was a commercial flop, but it has since attracted a cult-like following, resurfacing and reviving itself in smaller venues. 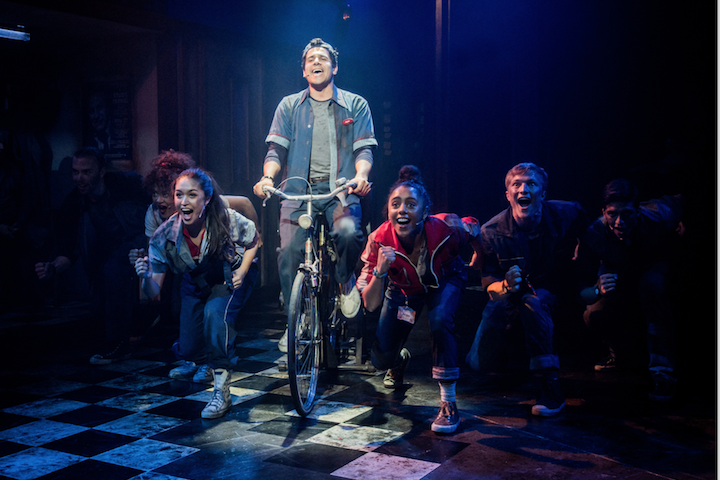 Most recently, it found a home a home at London’s Southwark Playhouse in an overhauled and slightly updated version directed by Luke Sheppard. 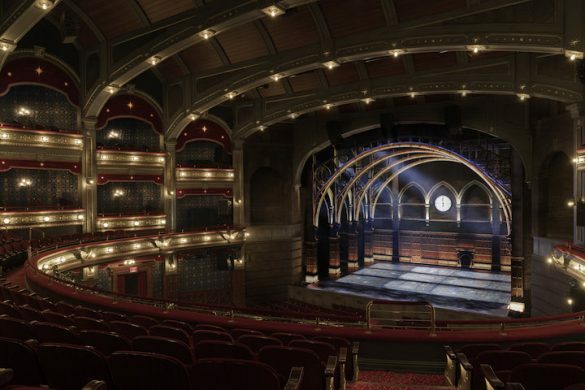 Ghostlight Records has preserved the production with a recording of cut songs from the original version and new selections by Broadway darling Lin Manuel Miranda. 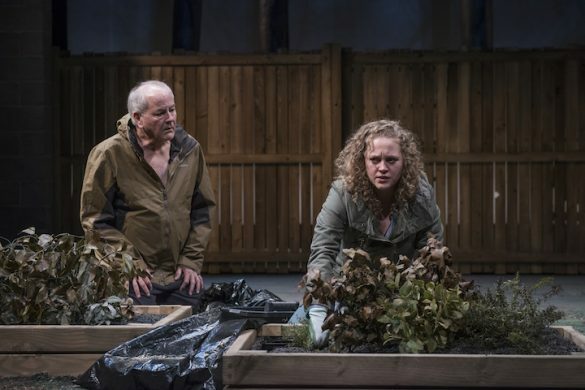 Working is adapted from journalist Studs Terkel’s Working: People Talk About What They Do All Day and How They Feel About What They Do. The show has been reimagined by Stephen Schwartz and Nina Faso, with additional contributions by Gordon Greenberg. Like America itself, the show’s score is a melting pot of contributions from talented composers including Schwartz, Manuel-Miranda, James Taylor, Craig Carnelia, Micki Grant, Mary Rodgers & Susan Birkenhead. The full company kicks off the album with Schwartz’s “All the Livelong Day,” which borrows phrases and ideas from Walt Whitman’s “I Hear America Singing”. The driving, melodic beat sets the tone for a toe-tapping’ workday. Liam Tamne sings about his job bringing food to folks in “Delivery.” The Manuel-Miranda number is reminiscent of his Latin-infused style from In the Heights. Other highlights on the album include Carnelia’s “Just a Housewife” which pays homage to the most overlooked occupation: tending to a home and raising a family. In “The Mason,” also by Carnelia, the expertise of men whose work will remain long after they are on the earth is praised. Manuel-Miranda’s new contribution, “A Very Good Day” is particularly touching as it paints a gentle portrait of two caregivers: A man who cares for a dementia-ridden patient and a nanny who watches children for the child’s career-focused parents. “If I Could’ve Been” poses a theoretical question of life’s choices and decisions had fate not intervened. Carnelia’s “Something to Point To” ends the CD by asking what we can leave as our mark on humanity. This is an album to treasure. If for no other reason, it awakens us to the blood, sweat, and tears that is poured out by everyday folks and reminds us that it takes hard work, pride, and determination to keep the world spinning. For the producers and creative team of this Ghostlight recording, it is a proud legacy of a musical theater gem. Click here to download Working . Ryan Leeds is a freelance theater journalist who lives in Manhattan. He is the Chief Theater Critic for Manhattan Digest and a frequent contributor to Dramatics Magazine. Follow him on Twitter at @Ry_Runner or Facebook.